The holiday season is fast approaching so isn’t it time you gave yourself a remarkable treat at the most remarkable time of year with some remarkable offers from Chatrium Hotels and Residences, available exclusively at the 45th Thai Tiew Thai Fair. 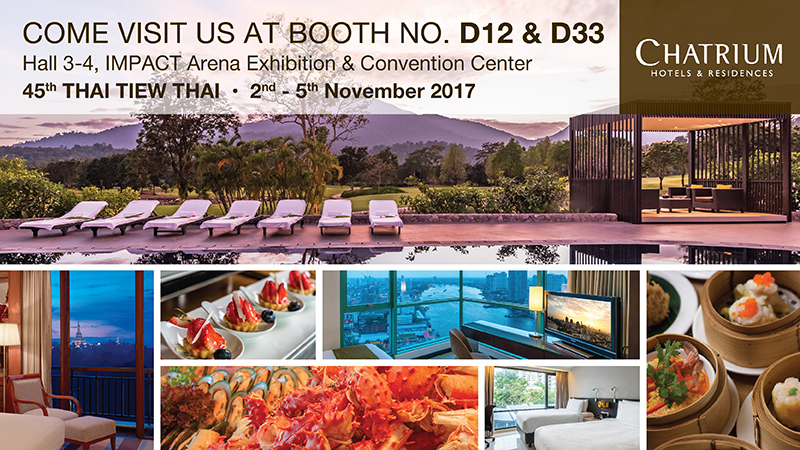 We’re waiting to warmly welcome you at Booths D12 and D33 in Halls 3-4 at Bangkok’s Impact Arena from the 2nd to the 5th November so come on down and grab an unbeatable room or dining deal we’ve created especially for you just for Thai Tiew Thai. Chatrium Hotels and Residences are to be found in Bangkok, Yangon and Chanthaburi so whether you’re looking for a luxurious urban escape in the world’s most visited city, an opulent break beside a shimmering lake, a first class game of golf in a first class location or a dining experience beyond compare then Chatrium has some special surprises in store. The following prices are only available for Thai citizens or local expats so pay a visit to the 45th Thai Tiew Thai Fair and see for yourself why the Chatrium Hotels and Residences’ motto of “Live the Remarkable” are no mere words but a solemn brand promise. 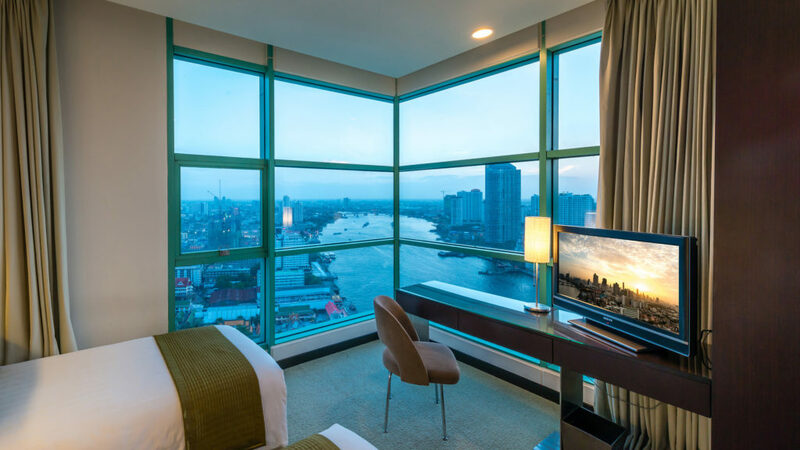 A stay by Bangkok’s mighty Chao Phraya River must surely rate as being one of the most desirable locations in the capital so we invite you to enjoy a true 5-star experience at Chatrium Hotel Riverside Bangkok at a price that’s just as desirable with a spacious Grand Room City View at THB 3,500 net or Grand Room River View at 3,900 net including daily buffet breakfast for 2 and complimentary in-room Wi-Fi plus use of the hotel’s shuttle boat to Taksin Pier and the BTS Skytrain. 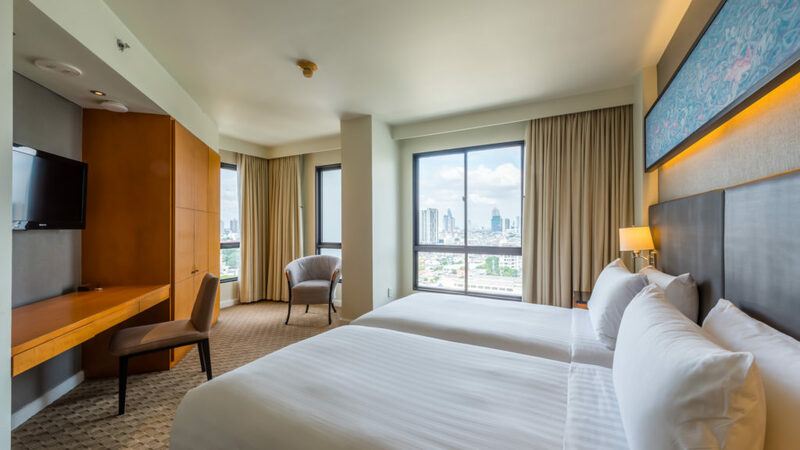 If you need an escape from the cacophony of the capital but still be in the heart of it all then Chatrium Residence Sathon Bangkok should be top of your list, and at a price of THB 2,600 net for a Studio Room or THB 3,000 net for a 1-Bedroom Suite including daily buffet breakfast for 2, free in-room Wi-Fi and shuttle van and great discounts on dining, laundry and dry cleaning or a relaxing spa treatment the deal is as perfect as the stay. 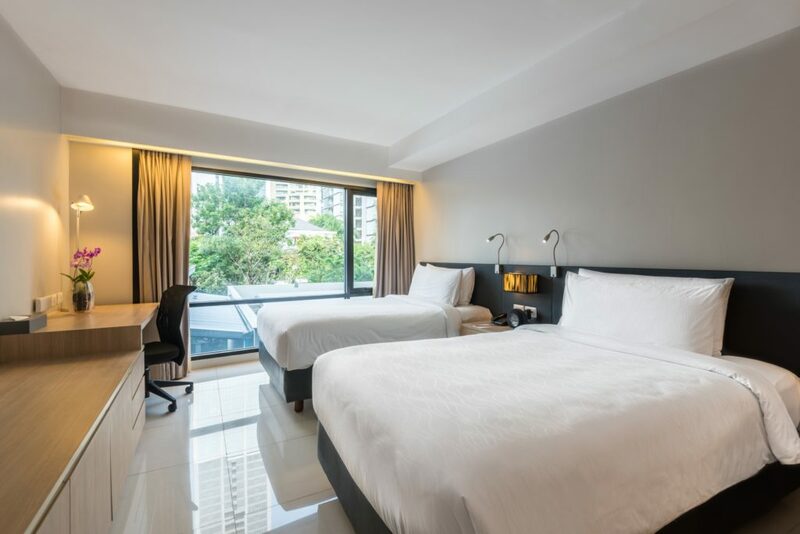 Everybody’s heard of the iconic Emporium Shopping Mall, smack in the heart of Bangkok’s EM District on the famous Sukhumvit Road, so why not experience this shopaholic’s paradise at the opulent Emporium Suites by Chatrium situated right on top of the mall. 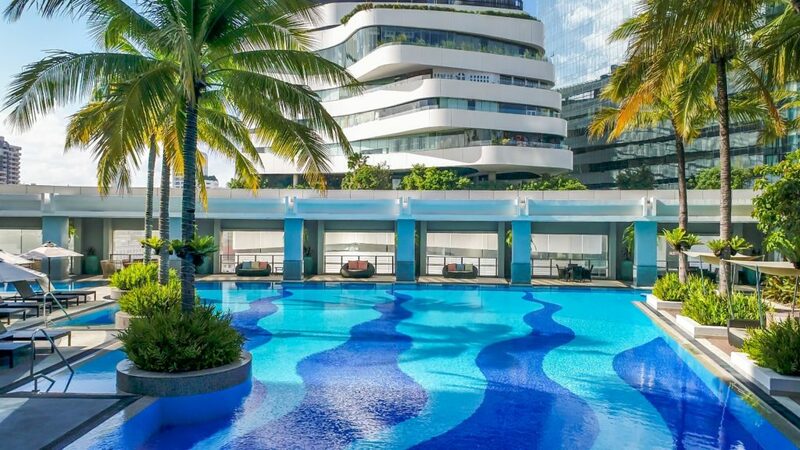 With a one time only Thai Tiew Thai price for a 65 sqm Studio Deluxe of THB 4,500 net including daily buffet breakfast for 2 and unlimited free wired and Wi-Fi internet you’ll have all the more money to pick up a bargain buy! 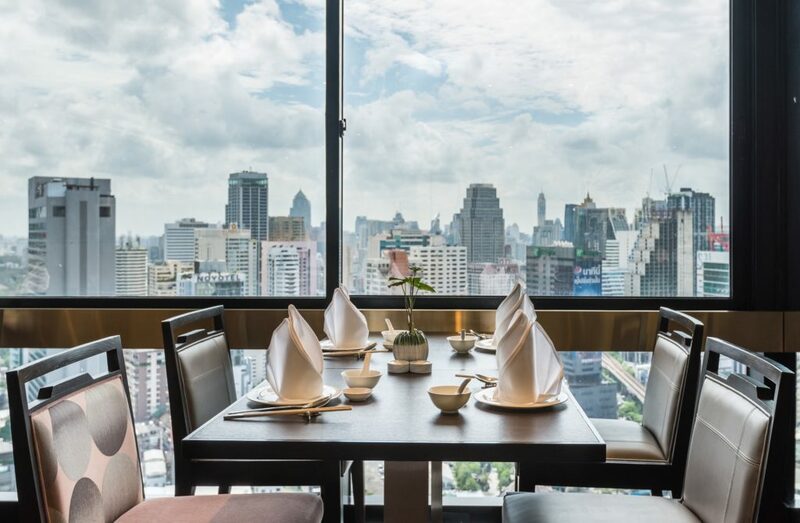 And don’t forget the hip and happening EmQuartier is right across the road and Emporium Suites enjoys direct access to the BTS at Phrom Phong Station. With its incomparable location on Sukhumvit Soi 18 Maitria Hotel Sukhumvit 18 – A Chatrium Collection is tailor-made for guests seeking a break in the middle of Bangkok’s dining, entertainment and shopping zone and with Maitria’s promise of “Stay Savvy” at an even savvier price of THB 2,500 net for a Standard Room including daily buffet breakfast for 2, unlimited free wired and Wi-Fi internet and 3 complimentary cans of soft drink per stay you simply won’t want to leave. 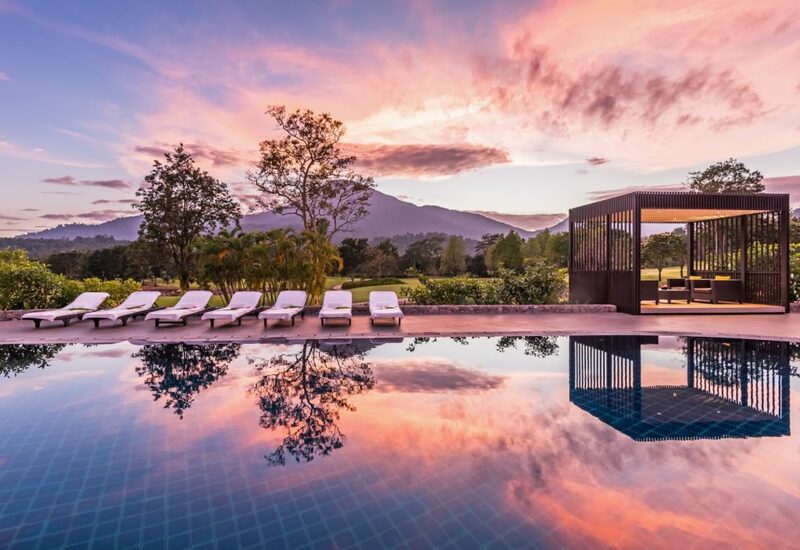 If you’re more of a potential golfing Grand Slam champion or just looking for some quality time in one of Thailand’s most stunningly beautiful provinces then Chatrium Golf Resort Soi Dao Chanthaburi has Deluxe Rooms at THB 1,600 net on weekdays or THB 2,000 net on weekends, with a Thai Tiew Thai offer of buy 10 get 1 free including daily breakfast for 2, free Wi-Fi, free bike hire and a complimentary golf course tour. Green fees for the Denis Griffiths’-designed international class golf course are THB 650 net on weekdays or THB 950 net on weekends at the fair with an extra buy 5 get 1 free deal on top. 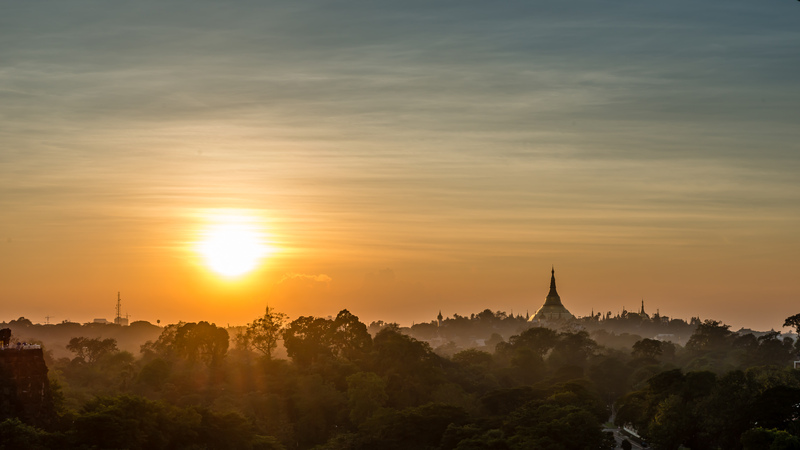 Further afield in magical Yangon a magically luxurious stay awaits in one of the city’s most renowned properties Chatrium Hotel Royal Lake Yangon, beside the placid waters of Kandawgyi Lake with mesmerizing views of the imposing Shwedagon Pagoda. With a Thai Tiew Thai offer for a 2-night stay in a Deluxe Room City View ( twin sharing) of THB 6,500 net including buffet breakfast, complimentary round-trip airport transfer, in-room fruit platter and flower set up, free internet and a full day city tour the price is magical as well. If you want to treat those closest to you to a slap-up meal at one of Chatrium’s award-winning restaurants or indulge in an expansive buffet to end all buffets then our Thai Tiew Thai dining offers are bound to put a smile on your face as well as a smile in your wallet. 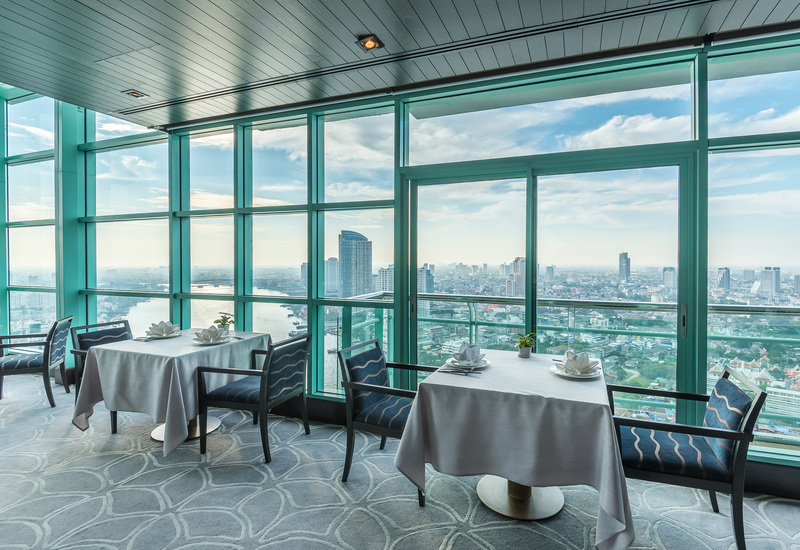 Take a trip to the 36th floor of Chatrium Hotel Riverside Bangkok and enjoy the capital’s most panoramic view at Silver Waves Chinese Restaurant as you feast on Chef’s exquisite all you can eat Dim Sum Lunch featuring freshly prepared Dim Sum classics as well as some unique Silver Waves specialties including Chinese and chrysanthemum tea for THB 780 net. Or if you’re a buffet fanatic then you simply can’t miss the River Barge Restaurant’s daily Themed Dinner Buffets from Sunday to Thursday at THB 1,100 net including free-flow soft drinks or Remarkable Weekend Dinner Buffet on Fridays and Saturdays at THB 1,290 net including free-flow soft drinks – one thing’s for sure with the enormously inviting choice available you won’t go away hungry! 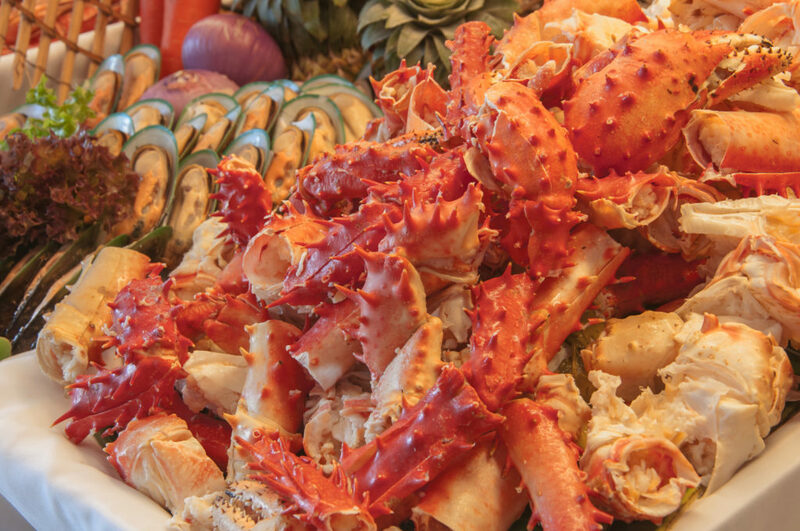 For a gigantic gastronomical tour of the world’s favorite cuisines then Albricias Restaurant in Chatrium Residence Sathon Bangkok is the place to head to with Tuesday’s Japanese Buffet Dinner at THB 1,299, Friday’s Seafood International Buffet Dinner at THB 1,650 net and Saturday’s Mediterranean International Buffet Dinner at THB 1,050 net all including drinking water, coffee and tea only at Thai Tiew Thai. 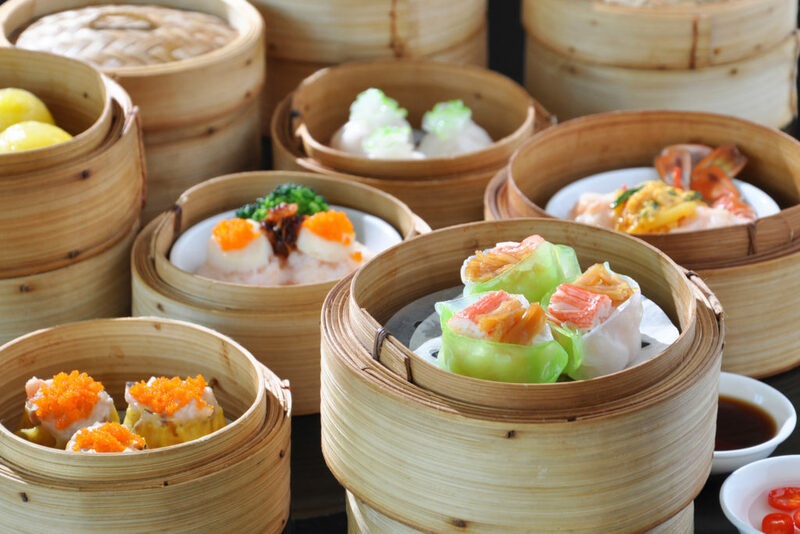 Emporia Restaurant in the Emporium Suites by Chatrium has a bite-sized bonanza from the Middle Kingdom every day with a superb Dim Sum Lunch at THB 650 net or laid-back Dim Sum Afternoon Delight for THB 500 net including Chinese and chrysanthemum tea, exclusively at the fair. For a stay which exceeds your every expectation or a meal filled with the finest of fare visit Chatrium Hotels and Residences at Booths D12 and D33 in Halls 3-4 of Bangkok’s Impact Arena from the 2nd to the 5th November for the 45th Thai Tiew Thai Fair. Come on, why not Live the Remarkable a little at some exclusive prices that are just as remarkable! Previous PostPrevious It’s Never Been Easier to Earn Free Points with the Chatrium Point Plus App!